Urban Union appoints local artist to lead public realm project for Laurieston. A dramatic series of artworks, tree plantings and sculptures – and a VW campervan transformed into a mobile art studio – are just some of the ideas which could be used to energise a new community currently under construction in Glasgow. Urban Union, the development company taking forward the regeneration of Laurieston, has appointed renowned city-based artist Peter McCaughey to lead the five-year project, called “Art and Living: Laurieston”. Peter, lead artist at arts organisation WAVEparticle, launched his ambitious plans, made up of 20 unique ‘opportunities’ for the use of art in Laurieston, at the Briggait, 1873 Hall, Merchant City, Glasgow, on Wednesday (September 18). McCaughey, a lecturer in the Sculpture and Environmental Art department at Glasgow School of Art, has just curated a group exhibition at the prestigious Architects Association in London, titled Cultural Hijack: Rethinking Intervention. He was recently commissioned by Glasgow 2014 to design an artist-led journey along the Clyde in advance of the 2014 Commonwealth Games. He said: “This exciting project is one of the largest artist-led commissions of public artwork in Glasgow in recent years. Peter’s blueprint for the project includes creating a sculpture-led interactive play area for children, capitalising on the “oral tradition” of the area, marking historic sites with thought-provoking signage and using the VW campervan as a mobile studio which will be positioned “close to the action” as the 800-home development continues. This approach is different to many previous area-regeneration projects. Approximately 40 per cent of the activity will be temporary over the five-year activity, which capitalises on the blank canvas of brownfield sites. WAVEparticle has recently undertaken public realm projects in Irvine and Helensburgh, as well as working as artists and arts commissioners for Clyde Gateway Urban Regeneration Company’s Eastgate development. The Laurieston appointment is one of its biggest projects to date. The organisation is already working with children living close to the Laurieston development through the Gorbals Youth Café project. They have designed hand-printed flags, which will be hung outside completed houses as their new tenants arrive from summer 2014. Laurieston is one of eight Transformational Regeneration Area (TRA) projects in Glasgow. The £90 million initiative will deliver a major boost for the city, creating jobs and delivering a wide range of new homes and community facilities. Janice Belshaw, project manager at Urban Union, said: “Peter’s appointment marks another milestone in the Laurieston project. “Our aim is to create a new community in this part of Glasgow, and art plays a key role in bringing that vision to life. Art and Living: Laurieston will be available to view in the Briggait, 1873 Hall, from 4pm on Wednesday September 18 to 5pm on Saturday September 21, after which it will be on display at the Citizens Theatre from Tuesday September 24 until Sunday October 6, from 10am to 6pm. 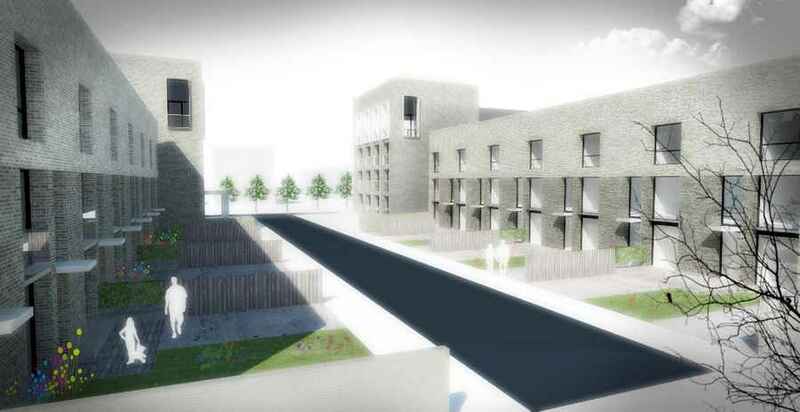 The first phase of the Laurieston TRA project is being financed by Glasgow City Council, the Scottish Government and New Gorbals Housing Association. Urban Union is a joint venture partnership between McTaggart Construction, Keepmoat and Robertson Group Holdings. 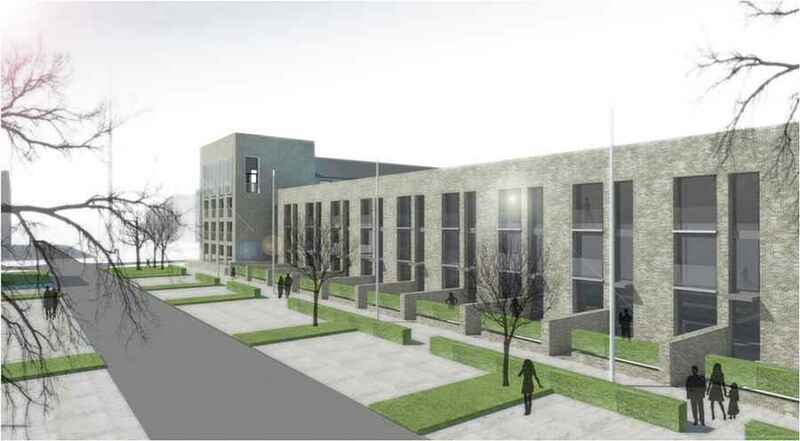 The company was appointed to deliver the Laurieston project in May 2011 as part of the TRAs involving the City Council, Scottish Government and Glasgow Housing Association (GHA). 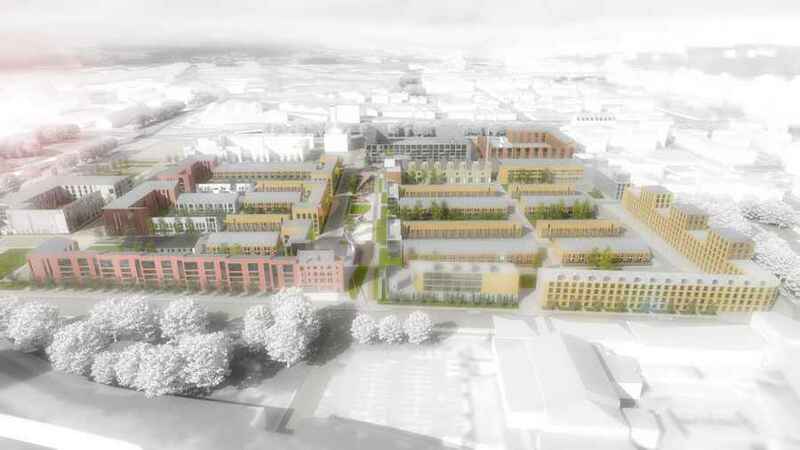 The consortium has also recently been appointed as the preferred developer for the Pennywell development in Edinburgh. The next stage of the £90 million regeneration of the Laurieston area of Glasgow has been given the green light by Glasgow City Council. Urban Union, the consortium delivering the landmark project, has been granted planning permission to build up to 800 new homes-for-sale in Laurieston – one of Glasgow’s eight Transformational Regeneration Areas (TRAs). Proposals for the wider masterplan, which include a hotel, retail outlets community facilities and green space, were also approved – paving the way for the smooth continuation of the project. Work on the first phase, which will deliver more than 200 affordable homes for rent in Laurieston, began at the end of May 2012 and is now well underway. The current plans were subject to an extensive public consultation, without any objections, before being submitted on behalf of Urban Union by the UK’s largest planning consultancy, Barton Willmore. Laurieston is first scheme of eight Transformational Regeneration Areas promoted by Transforming Communities: Glasgow to gain planning permission. 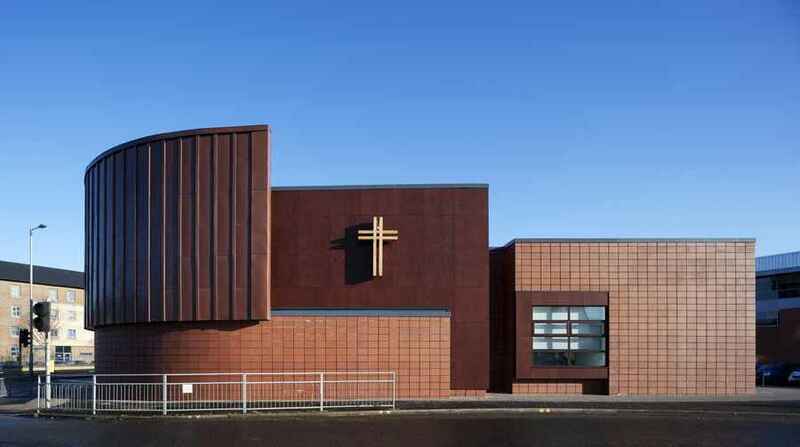 Transforming Communities: Glasgow is a special purpose vehicle comprising Glasgow City Council, the Scottish Government, New Gorbals Housing Association and Glasgow Housing Association. The Laurieston project is being delivered locally in partnership with New Gorbals Housing Association. Work on the first phase of the project – 201 homes for affordable rent – has already started, with a series of computer images, unveiled by Alex Neil MSP, Cabinet Secretary for Infrastructure and Capital Investment, in May, giving an initial glimpse of what is now a landmark project. The regeneration of Laurieston has been an active consideration since the mid 1990s when the first of three regeneration proposals was put forward by New Gorbals Housing Association. Since Urban Union was appointed last year to progress the project, the company has worked closely with New Gorbals Housing Association (NGHA) on the first phase of development. Raymond Shannon, chairperson of NGHA, said: “We have been working towards the regeneration of Laurieston for many years, and are delighted that the first phase is now well underway. Laurieston is one of three Transformational Regeneration Areas which were identified in Glasgow as priorities for comprehensive regeneration and are now activated, the others being Maryhill and Gallowgate. Urban Union has a dedicated project office on site to help provide local people with advice and information on the development as well as employment and training opportunities. Urban Union’s community benefits team is also working closely with social enterprises and local businesses to identify how they can benefit from the project. The project, Laurieston Living, is being constructed by Urban Union, a joint venture partnership between McTaggart Construction, Keepmoat and Robertson Group Holdings. The planning application was prepared and submitted by Barton Willmore’s Scotland office in association with RMJM Architects. Urban Union is a unique partnership formed specifically to deliver large scale regeneration projects. All three partners have a proven track record in delivering mixed tenure projects and working to deliver ‘community benefits in procurement’ in Glasgow and further afield. The consortium supports the priority given to targeted recruitment, training and supply chain opportunities presented by the Laurieston project. Each Urban Union partner has extensive regeneration experience and shares a common view on social responsibility. Keepmoat is an award-winning leader in the delivery of community regeneration, providing thousands of new and improved homes across England and Wales. Working with delivery brands including Keepmoat Homes, Bramall Construction and Frank Haslam Milan, they provide a comprehensive and flexible package of support services to help build strong, dynamic and sustainable communities. Keepmoat’s turnover for 2009/2010 was £604 million. McTaggart Construction is a privately owned construction provider who has built up an enviable reputation in the industry based on the delivery of a quality product on time and within budget. Founded in 1946, and with a wealth of experience in regeneration projects, ‘McTaggarts’ are client focused and firmly believe in collaboration and the partnering approach to construction. Training and employee development have always been at the forefront of the company and there is a real commitment to support local communities in terms of work experience and job creation. Within the McTaggart Construction Group of companies are Private Housing, Civil Engineering, Plumbing & Electrical, Timber Frame and Scaffolding divisions. Robertson Group is a privately owned portfolio of individual companies working in construction, investment, development and facilities management services throughout the UK. There are currently eleven autonomous Robertson companies that directly employ over 1000 people across ten locations in the UK and Ireland. – six regionally-based construction companies and a property development company that form the Robertson Construction Group Robertson was established in Elgin, Moray in 1966 by Executive Chairman Bill Robertson. New Gorbals Housing Association is a community controlled Housing Association operating in the Gorbals area. Committed to; providing high quality services to residents, serving the community and driving the regeneration of the area, the Association manages over 3,000 rented homes in the area and factors a further 1300. 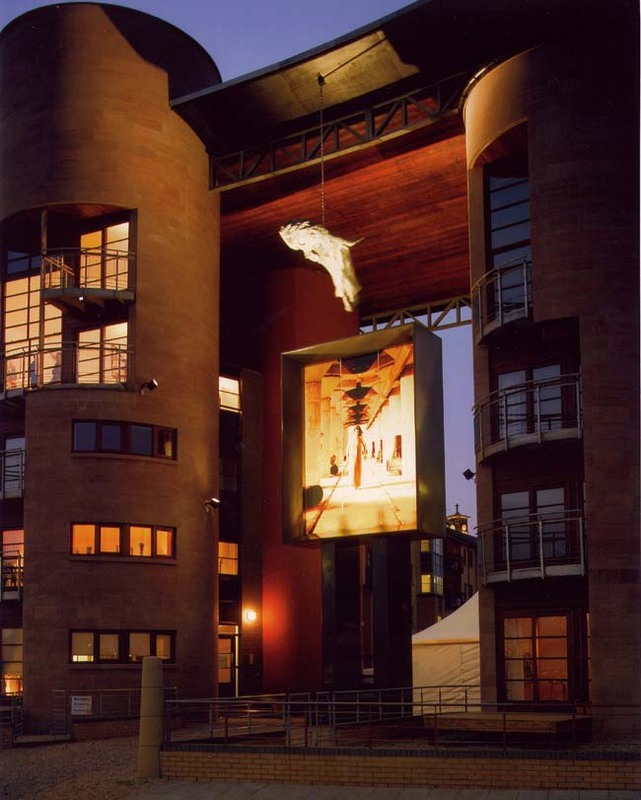 Since its inception in 1989 the Association has been in the forefront of the regeneration of the Gorbals, setting quality standards and winning multiple design awards. Alex Neil MSP signals start Glasgow’s new “world-class” city-centre quarter providing new homes, jobs and investment in Laurieston. A milestone development began as Alex Neil MSP, Cabinet Secretary for Infrastructure and Capital Investment, signalled the beginning of a multi-million pound regeneration project for the Laurieston area of Glasgow.